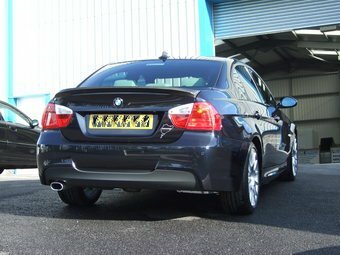 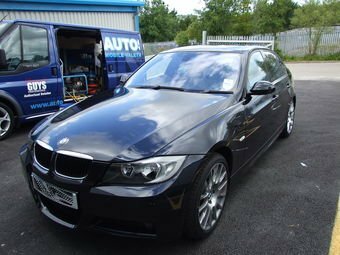 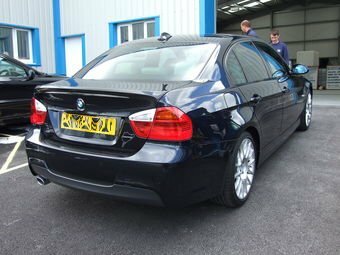 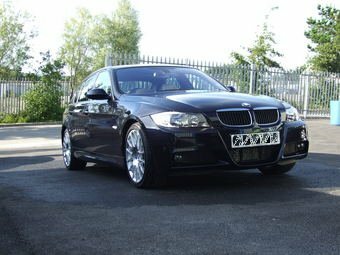 A lovely 320d in Carbon Black. 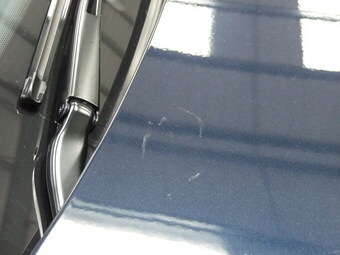 This car had been treated to a long life sealant a few weeks previous by another company, but the valeter applied it over defects and swirls marks which the owner felt detracted from the finish of the car. 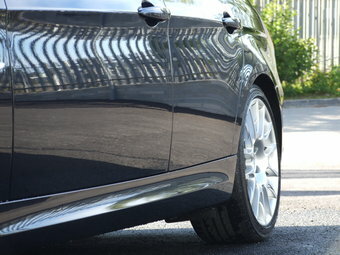 Our challenge was to get the car up to standard. 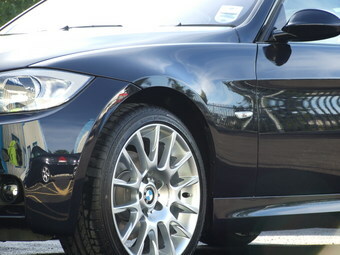 The car how it arrived, already quite clean. 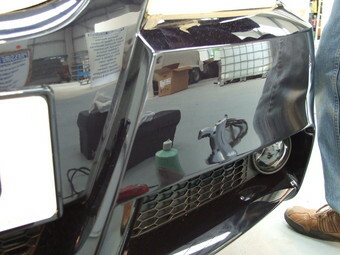 We started on the wheels as usual, only needed a little work. 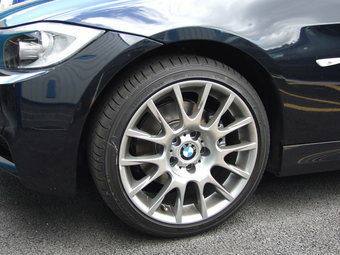 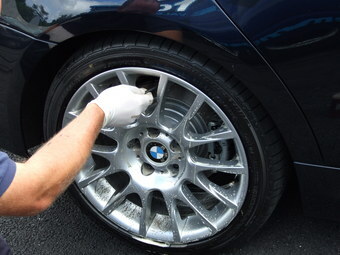 Wheels were rinsed and then a strong traffic film remover was used to break down the long life sealant so that it wouldn't cause any issues with the polishing stages. 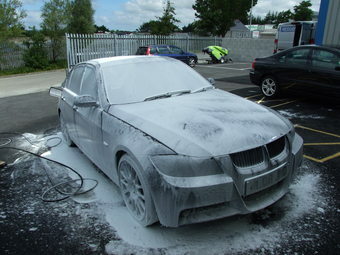 The car then got a snow foam pre-wash. 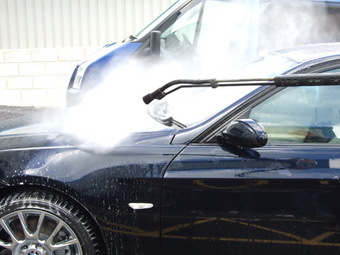 Followed by a rinse and normal two bucket wash. 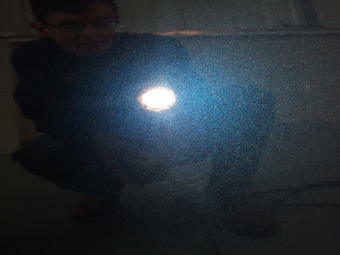 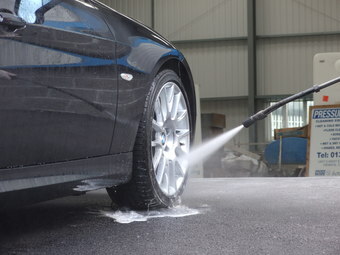 While still wet, we clay the car to remove any bonded on contamination, followed by another rinse. 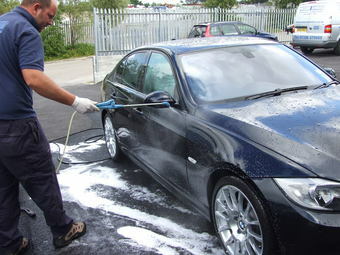 The car is then dried using waffle weave drying towels. 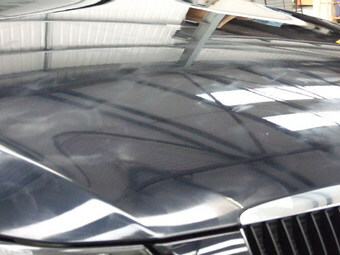 The dry car is then moved inside and is masked up ready for machining, at this point we also make a thorough examination of the paint work. 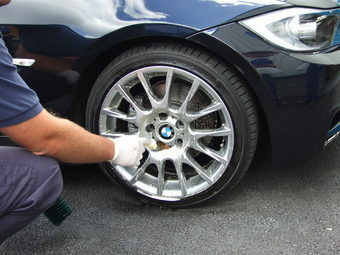 Various grades of compound, polish and polishing pads are used to correct the defects and swirl marks in the paint, leaving us with a flawless finish. 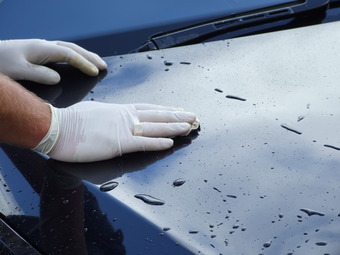 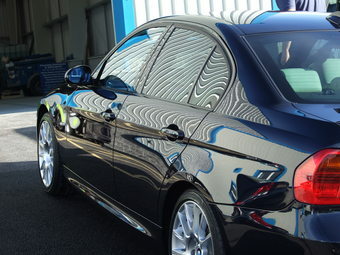 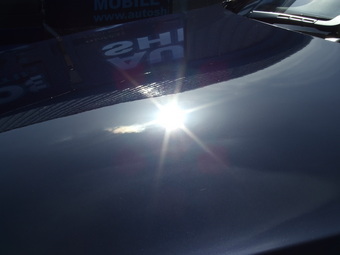 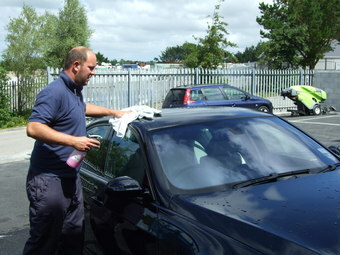 Once polishing is complete the car is wiped down with a solvent to remove any left over polishing oils. 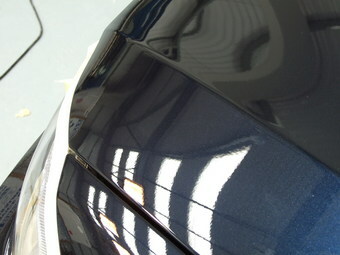 Then a coat of a high quality carnauba wax is applied. 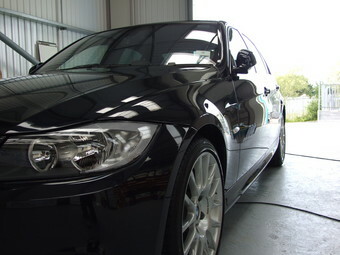 The wax is removed after several minutes curing time to leave an incredible wet look, glossy shine. 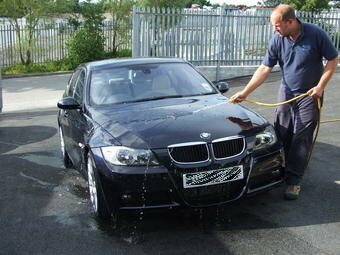 The car is moved back outside for another rinse. 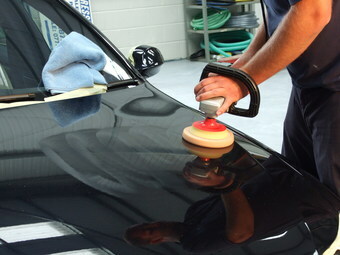 This is to remove any remaining dust, from the polishing stage, that is lingering in door shuts and panel gaps. 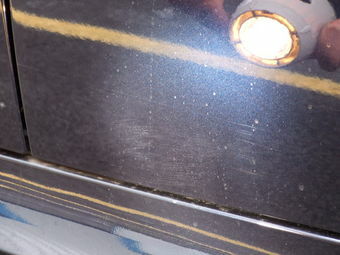 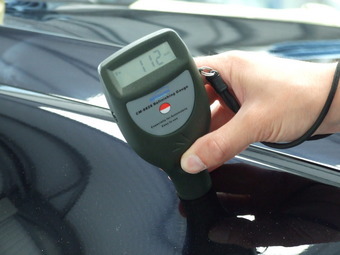 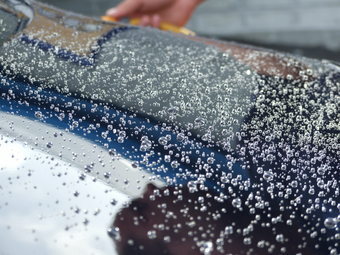 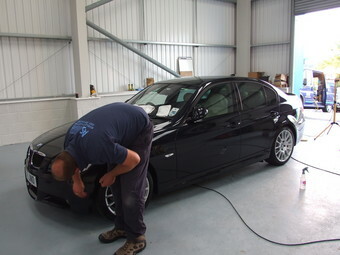 We do one final inspection to check for any unbuffed wax or dust, the car is then ready for the owner.